It was difficult to find a google image that wasn’t a gross teeth whitening ad. Day 2 featured some great battles, and may be the first day of the tournament where every song averaged a “6” or higher. But the story in this division continues to be “Killer Queen”, which posted the day’s high average of 7.7. All of the other match-ups were down to the wire, so congrats to all nominators. Pink Moon (Nick Drake) def. Backstreets (Bruce Springsteen), 82-81.5. This one flipped on the second to last vote. Bruce is down to his last song (41 Shots). Stubborn Love (Lumineers) def. Anna Sun (Walk the Moon), 85-74.7. 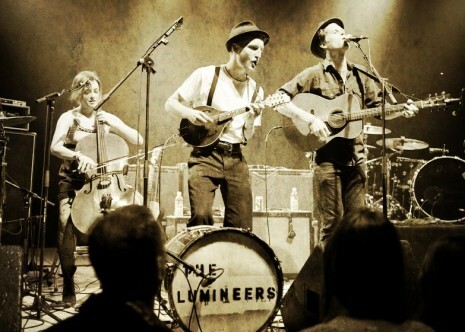 Is it wrong to lump the Lumineers with Edward Sharpe and Monsters & Men? There’s a specific sound permeating from these bands that is thriving in this tournament. Killer Queen (Queen) def. Never Go Back (Grace Potter and the Nocturnals), 85.4-70.7. All These Things I’ve Done (Killers) def. The Last Living Rose (PJ Harvey), 75-68.2. Killer Queen vs. the Killers next round. Sounds rambunctious.